Hi lovelies, I know it's been awhile but I'm still around. I've been trying to enjoy my vacation as much as possible and see as many of my awesome friends as I can. This has made it a bit challenging to actually sit and compose a proper blog post. However, I just wanted to do a quick little product review for you. I'm always on a mission to achieve healthy beautiful skin by using only natural products. 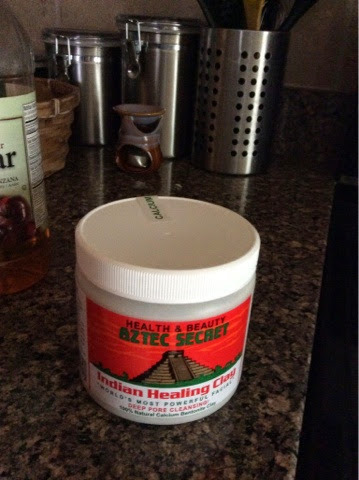 One of the products I came across while perusing the blogosphere was Aztec Indian Healing Clay. It is made from 100% Calcium Bentonite clay which is a powerful and effective imgredient for ridding the skin of impurities which eventually leads to a healthy and glowing complexion. Sign me up please! It is such a simple process to add to your skin care routine. 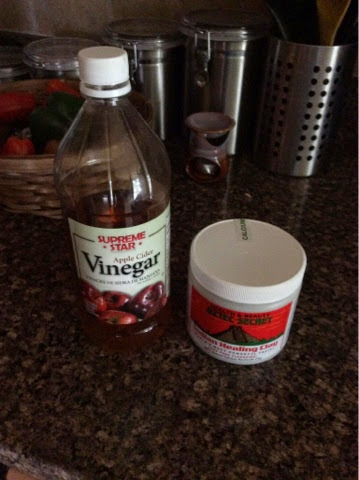 The clay should be mixed with Apple Cider Vinegar with a 1:1 ratio. I've read reviews of people reacting strongly to the acidity of th vinegar and have substituted it for water. I didn't have a reaction. Mix it into a paste and apply to skin. 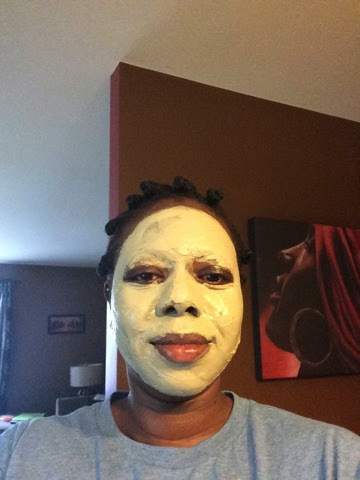 You can use it on your face, on your neck, any area where you suffer from acne or have insect bites. Leave it on for up to 10 minutes if you have sensitive skin or 20 if you have normal skin. While the mask is on, you will feel it tingling and pulling a little. That means it's drawing the impurities from your skin. Halleluyer! This is what it looks like when first applied. After 20 minutes with it on. It's now dry and ready to be removed. 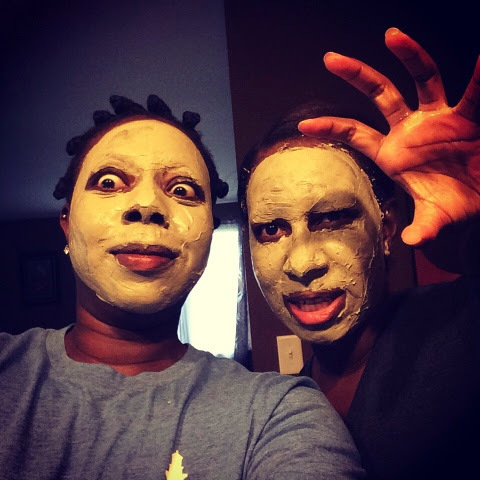 Lol, my bestie and I being silly. I used a wash cloth to help remove the dried clay. It took all of five minutes to get it off. 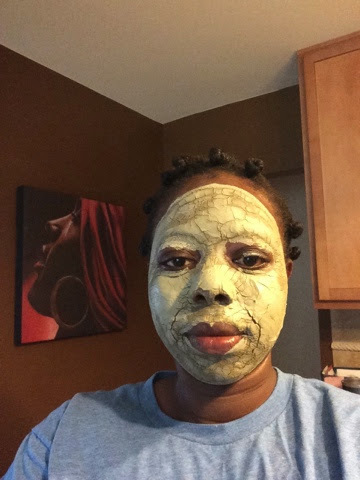 My skin felt amazing and all those little yuckies in the pores on my nose seemed to have disappeared. Nothing seems to work on those suckers. It didn't dry out my skin or irritate it. I plan on incorporating this into my weekly beauty regimen. It's available on Amazon.com, Iherb.com and a bunch of other health websites. Well I hope you give this a try. I think it's pretty awesome!